Given the hysteria around the current debate on a carbon tax, it seems timely to republish on the CAHA blog an edited version of this article published in Fairfax's National Times last year: No need to be afraid of a tax on carbon. The agreement between The Gillard Government and The Greens that a carbon price is paramount to tackling carbon pollution signalled a restoration of a significant climate policy agenda in Australia. It was well overdue, given the overwhelming recognition that a carbon price is central to effective emissions reductions. This has been the case since Sir Nicholas Stern's landmark report in 2006, which identified a carbon price as a key element to cutting emissions. And despite independent MP Bob Katter's poor opinion of Sir Nicholas (describing him in 2010 as "a lightweight"), Stern remains a pre-eminent expert on the economics of climate change. Nothing has changed since his report in terms of the need for a carbon price; only the urgency of its application has increased. Achieving this in Australia, however, has been difficult to date “ the Carbon Pollution Reduction Scheme (CPRS) was a miserable attempt at pricing carbon, and its flawed approach (rejected quite rightly by The Greens and others) with inadequate targets, excessive use of offsetting and unnecessary compensation to polluters, has contributed to the discrediting of emissions trading as the preferred option for pricing carbon internationally. While Opposition Leader Tony Abbott remains vehement in his opposition to new taxes, he doesn't (yet) appear to understand that his policy of direct investment is just another way of putting a price on carbon. And while Abbott may be opposed to the idea of a specific carbon tax, the allocation of funds to reduce carbon emissions is using revenue collected through taxation. To argue that we shouldn't have a carbon price because it will drive up electricity prices is nonsense “ electricity prices are already going up and will go up even further without a carbon price, because there is no incentive to invest in energy generation infrastructure while there is uncertainty around a price on carbon. 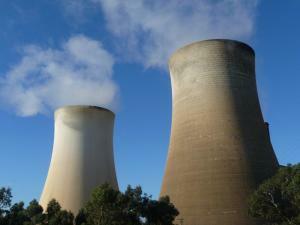 Capital expenditure on power generation in Australia is expected to decline $10 billion over the next five years unless there is a price on carbon. In terms of actual mechanisms, the most appropriate tool is a carbon tax. Supported by most environmental economists (and others such as Nobel Laureate Joseph Stiglitz and Jeremy Sachs), a carbon tax is already in place in many European jurisdictions where it has reduced emissions while maintaining, even improving in some instances, economic productivity. Most arguments against a carbon tax incorrectly identify the misplaced allocation of funds as a flaw of the mechanism itself, rather than its faulty implementation. A carbon tax is a way of obtaining revenue (appropriately, by taxing polluters). What is done with that revenue determines what its impact will be on the community, whether it is supporting low income or vulnerable households or supporting the expansion of renewable energy technologies - not the tax itself. Its popular appeal could also be enhanced by reducing other taxes, such as income taxes, while maintaining the pressure on polluters to find ways to cut emissions. The "anti-tax" position adopted by Abbott is a very simplistic argument. A carbon tax will provide a revenue base that we can use to diversify our economy away from a "quarry and dump" to potentially manufacturing, operating and exporting renewable energy infrastructure - creating thousands of jobs and bringing wealth to our deprived regional areas. We are witnessing of course the inevitable squealing from the emissions intensive industries, and re-runs of the "sky is falling" argument by the big polluters. The reality, however, is that ongoing opposition to a price on carbon will mean we better steel ourselves for the "brownouts" that will result, not because of the carbon price, but because we lack one. The failure or unwillingness to invest in new power generation will inevitably lead to considerable economic disruption and societal dysfunction. But while a carbon price is central, it is only one tool in the suite of policy options that are needed to bring down emissions, help make clean renewable energy cheaper, and discourage polluters from dumping their waste in the atmosphere. We need to move quickly to a suite of policy mechanisms that not only make clean renewable energy competitive with fossil fuels but will also reduce emissions from transport and building stock and agriculture. To achieve this it is vital that we legislate a carbon price and move on from the argument about a carbon tax versus emissions trading. We must seek the establishment of a national plan to guide Australia's transition to a low carbon and then zero carbon economy. Other more responsible countries are investing in whole of society transition plans - recognising that transition is inevitable and, carefully managed, it will bring far more positive outcomes than ad hoc adaptation and emergency responses. We've had enough of intermittent commitment to individual policy mechanisms - it is time for a considered framework that will guide our country's transition to the low and then zero emissions society that promotes and protects our economic, environmental and social wellbeing. A version of this article appeared on the National Times on 4th September 2010.